What Is Double Glazing and Why Should You Invest in It? Double glazing is the glazing process whereby two layers of glass are fitted so that a small gap of air is created in between. The gap is usually 12 to 16 mm wide and is filled with either normal dry air or in some cases argon gas. If your energy bill or the noise outside is setting your teeth on edge it might be time for you to invest in double glazing. The two sheets of glasses used for double glazing are separated by a thin air gap and efficiently trap heat indoors. Installing double glazed windows or double glazed doors can add significant value to your property. Today, 6 out of 10 homes in the UK have double glazing. Double glazing is a popular choice for homeowners in the UK because it is designed to reduce heat loss and noise pollution. Unlike single glazing, double glazing could save you a lot of money on your energy bill and significantly reduces your carbon footprint. If you require more information about the installation and cost of double glazing you can get up to 4 quotes by filling out a short 1-minute form at the top of this page. GreenMatch's services are free and there are no further obligations involved. The air that is trapped between the two layers of glass creates a barrier that significantly reduces heat loss and noise. Double glazing slows the transfer of heat by a process called convection. In other words, the air between the panes can’t circulate properly as the gap is too small, therefore the transmission of heat is slowed down a lot. This process gives double glazing its insulating properties. There are several different aspects to consider when buying double glazed windows. The costs and types are two of the main factors. The cost of double glazed windows for your home depends on many different factors. Obviously, the price depends on the size of the window and the amount you would like to purchase. The bigger the window or the more windows you need the more it will cost. Generally, most companies reduce the price per double glazed window if you buy multiple units. The frame material also plays an important role. UPVC is the most popular option for double glazing as it is the cheapest option. Other framing materials such as aluminium and wood are costlier, but besides their preferred aesthetics there aren’t any benefits over uPVC. As sash and casement uPVC windows are the preferred choice for many people in the UK we provided you with their estimated costs in a table below. Bear in mind, that double glazing costs can’t be summarised into one fixed price. Rather, most glazing companies offer you a free appointment so that a member of their team can inspect your house and evaluate double glazing prices specific to your needs and wants. Check here, If you want to compare the best prices of double glazing. Similar to double glazed windows, double glazed doors have several factors that determine their price per unit. We provided you with some information about the pricing and types of double glazed doors below. For doors, the framing material and design will usually have the biggest impact on the pricing. UPVC doors are the cheapest option while timber and aluminium ones are more expensive. In general, sliding patio doors are lower in price while folding doors will cost you more. Bi-fold doors are the most complex and therefore the most expensive out of the three. Below we provided a table including the average pricing for the supply and fitting for these types of double glazed doors. The information above applies to standard sized doors. It is important to note that double glazing companies fit the doors specifically to your house. Therefore, the sizings and pricings vary from home to home. There’s a variety of companies and organisations in the UK that specialise in double glazing. It is important to inform yourself before choosing the fitter and manufacturer of your windows and doors. We selected a few of the best ones to make your decision a little easier. Some of the top double glazing manufacturers in the UK are Rehau, Crittal and Eurocell. If you’re after uPVC windows and uPVC doors Eurocell and Rehau will provide you with high-quality uPVC products that are available in all kinds of shapes and colours. Both companies have won multiple awards and put their focus on producing energy efficient and recyclable doors and windows. If you’re interested in steel windows, Crittal is the manufacturer for you. Their products go through an extensive process and are suited for older homes as well as for new ones due to their versatility. The largest and most experienced double glazing companies in the UK are Anglian Ltd, Everest and Safestyle UK. They all have been in business for a while and customers value them for their expertise and great quality double glazing. Anglian and Everest give quotes only after one of their team members has inspected your home while Safestyle provides you with an online quote. When choosing one of these double glazing fitters you will be given the choice to price match with other companies and to choose a finance plan. To ensure that your double glazing is correctly fitted it is important to find a competent and experienced double glazing organisation. FENSA, which was implemented by the Glass and Glazing Federation and Certass are two government approved schemes that work hand-in-hand with a number of double glazing contractors. Their services protect your rights as you are given mandatory guarantees and warranties for the installation of your double glazing. Another scheme that offers you additional protection is the Double Glazing & Conservatory Ombudsman Scheme or short DGCOS. What Components Are There to Double Glazing? The glass, cavity, primary sealing, secondary sealing, and spacer bar. Double glazing generally consists of two annealed, tempered or laminated glass sheets. You will also have a choice between coloured, tinted or reflective glass. These sheets are then separated by a spacer bar creating a cavity which allows air to be trapped, giving double glazing it’s insulating properties. The spacer frame usually consists of a desiccant that absorbs all moisture to prevent condensation in between the panes. To keep additional moisture from entering the double glazing and to efficiently trap heat, two seals are attached to the glass, the primary seal and the secondary seal. 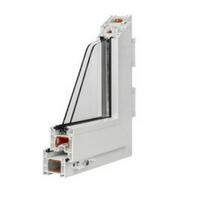 The primary seal is attached on the outside surrounding the glass panes while the secondary seal is attached to the back of the spacer frame. Savings on Your Energy Bill: one of the main benefits of using double glazing is the financial savings you will have. Unlike single glazing, double glazing is insulating which lowers the loss of indoor heat and significantly reduces your energy consumption costs at home. Sustainability: studies have shown that homes cause around 28% of all carbon dioxide emissions. Double glazing keeps your CO2 emissions low as it lessens heat loss. Hence, if you would like to reduce your carbon footprint double glazing is the solution for you. Additional Security: another advantage of double glazing is that it will increase the security of your home. Because double glazing is more durable, it will be harder for intruders to break in, giving you and your family a higher level of protection. Adds Value to Your Home: double glazed windows and double glazed doors are a valuable asset to your home. Thanks to double glazing, if you decide to resell your property the value will increase due to the added style, security, and sustainability. Noise Reduction: double glazing can decrease noises from outside by 60%. This guarantees you a quiet and peaceful home atmosphere. Traps Heat: whilst double glazing keeps heat from escaping during the colder months and keeps heat from entering during summer, its one key weakness is sunlight. The heat from the sun’s rays will not be able to leave as easily as double glazing is very insulating. To prevent this, you can install tinted double glazed windows and double glazed doors which will cost you extra. Difficult to Repair: over time the sealing of double glazing might become damaged. While it is not impossible to repair this, most companies won’t recommend it. In most cases, the whole window will have to be replaced which can be quite costly. Initial Cost: double glazing can be initially costly depending on the frame and sizing of the double glazed windows and double glazed doors. However, keep in mind that double glazing is an investment. Once the units are installed they will pay for themselves in the long run as you will save money on your energy bill. Difficult to fit for Older Homes: double glazing has a rather contemporary look. This might conflict with the aesthetics of older homes and therefore doesn’t make double glazing an ideal fit for older properties. 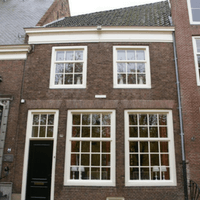 Nonetheless, there are some companies that specialise in matching double glazing to these types of houses. Many double glazing companies offer a wide range of frame materials and glasses to create the perfect fit for your home. Besides the frame material and glass, you can also customise the spacer bar and decide what gas the gap in between the panes will be filled with. Unplasticised polyvinyl chloride or short uPVC frames are the most popular window and door frame choice for double glazing. They generally cost less than other frame materials but are just as insulating. uPVC frames are available in many different colours. Do keep in mind that, because the colour might fade and the frame might expand under strong sunlight over time it is recommended to purchase uPVC frames with a warranty of at least 10 years. Wooden frames have a more traditional look than the other framing materials. They make double glazing 1800 times more insulating than aluminium frames and with proper care can last a lifetime. Nonetheless, timber frames are definitely costlier than uPVC frames and require more extensive treatments and care. Aluminium frames have a very contemporary and modern look to them. they could last you a very long time because aluminium requires low maintenance and is very durable. However, it is not as insulating as uPVC and timber and therefore the most unpopular choice for double glazing out of the three. As well as the frames you will also have the choice to modify the type of glass for your double glazing. Low-emissivity or Low-E glass is one of the most popular glass choices as it makes double glazing more energy efficient. Low-e reduces the amount of harmful ultraviolet and infrared light passing through while allowing sunlight in. This retains the heat indoors during cold months. It is a type of safety glass. It is more durable than normal annealed glass and therefore reduces the risk of injuries and accidents if broken. Similar to tempered glass laminated glass is a popular choice for safety and security glass. It consists of two layers and is thus very difficult to break. An added film to your double glazing that reduces the transmission of ultraviolet light through your doors and windows. It protects your furniture from sunlight, keeps your house cooler during summer and offers you a higher level of privacy. A metallic finish which gives doors and windows a very modern look. It efficiently cools your home during summer while heating it during winter by reflecting radiation. Many glass types are available in almost any colour. To create coloured glass different metals are added to melted glass which can later be used in the double glazing process. Can I Repair Double Glazing? 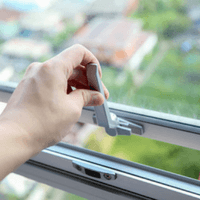 Many online forums suggest Do-It-Yourself tips on how to repair double glazed units but we don’t recommend to take matters into your own hands in this case. If your double glazing is damaged there are many different reasons for how this could have occurred. A very common fault from the wear and tear over time is condensation. If you notice this fault in one of your double glazed windows or double glazed doors you should immediately inform your installer. If you’re still covered under warranty you should be able to get full coverage for the repair. However, if you aren’t you might have to invest in new double glazed units. Secondary Glazing. Secondary glazing involves attaching a secondary internal window or door to an already existing unit. It is a cheaper option to double glazing mainly because it can be a Do-It-Yourself project. Secondary glazing could save you up to 10% on your energy bill but it is not nearly as effective at trapping heat as double glazing is. Nonetheless, in terms of noise reduction, secondary glazing is the clear winner. Overall, secondary glazing can be a good alternative to double glazing if you would like to save money and increase the level of acoustic insulation. Triple Glazing: as the name suggests, triple glazing involves three panes that are bound together in the same way double glazed units are. Compared to double glazing, triple glazing is the more energy efficient option as it traps even more heat indoors. It is also more durable and noise cancelling. However, triple glazing is more expensive and as the glass is very heavy it requires stronger materials for the framing which will add to the costs. Triple glazing would be most efficiently used in colder parts of the world. So depending on where you live in the UK triple glazing might be the solution for you. Quadruple Glazing: quadruple glazing has a total of four layers of glass. Unlike double glazing quadruple glazing is not a very established product in the UK, yet and not many windows and door fitters offer this product. It is more energy efficient and acoustically insulating than triple and double glazing. However, the extra layer comes at a cost. Quadruple glazing is estimated to cost around £1000 more per unit than triple glazing. We at GreenMatch know that it can be a tough decision when it comes to deciding who should fit your double glazing. Finding the right supplier that can satisfy your needs and wants needs time and effort. We’re here to help. If you would like to give your house more style, security and sustainability with double glazing, remember to fill out our form at the top of this page. You can get up to 4 quotes from trusted suppliers for free and with no further obligations.